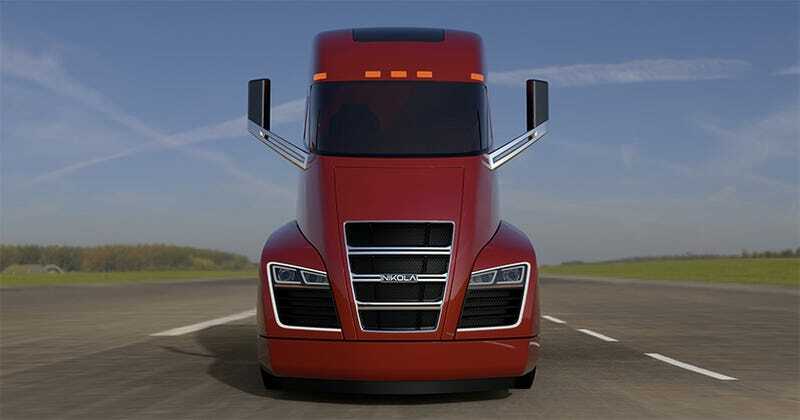 The Nikola Motor Company came out of nowhere a few months ago with some sleek big rig renders and outrageous performance claims: 80,000 pounds of hauling for more than 1,000 miles on electric power, charged by a natural-gas turbine. Now they say they’ve figured out how to eliminate emissions completely. As to how such a thing was achieved, Nikola founder and CEO Trevor Milton only offers: “It requires a specific zero emission refinement process of fuel and gutsy engineering and product execution,” in a company press release. We’ve reached out for a little more detail and will update if we get it. The Nikola One, the company’s “electric semi-truck,” is really more of a gas-electric hybrid since it apparently uses an onboard turbine engine running compressed natural gas to charge its batteries. But engines running compressed or liquid natural gas generally still emit, well, something, which makes Nikola’s accomplishment significant—if it’s true. And right now that’s a big if. The Nikola Motor Company still looks like a pump-and-dump scam to me, in which somebody’s trying to capitalize on hype before the operation evaporates and everybody involved disappears. The reason for my skepticism being that Nikola has produced extremely ambitious claims with precisely zero substantiation or so much as a photograph of their equipment. That said, the company is maintaining that it has “more than 7,000 truck reservations” with deposits which it accounts as “more than $2.3 billion in reservations.” The real-deal unveil is still scheduled to go down December 2nd, as originally promised. In fact, we might get a taste of their capability sooner than that since the Nikola Zero, an electric side-by-side ATV, is slated to debut September 16th at the Sand Sports Super Show in California. I’ll maintain a firmly raised eyebrow until I see one of their machines rolling under its own power. 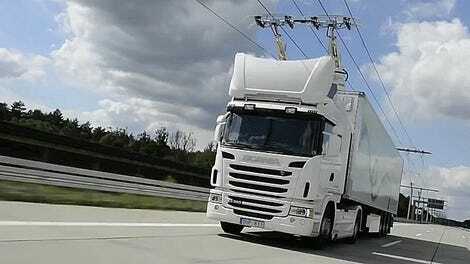 Even then, Nikola has a lot of big promises to keep in manufacturing and infrastructure.